Just because students are on summer vacation doesn’t mean the IT staff can relax on the beach. Plain Local Schools in Canton, Ohio, has a jam-packed summer planned to overhaul their network. Joe Andrews, the technology director, and Jason Patterson, the network manager explained to me that they will be ripping out and replacing their entire Cisco infrastructure with Extreme Networks. The district’s current infrastructure hadn’t been meeting the needs of students and faculty. And those needs are growing. For example, next year they are adding over 4500 Chromebooks to the network to support a one-to-one initiative in grades 4-12. Parts of the district are BYOD zones for student, faculty, and guest personal devices. Combine this with flipped classrooms and virtual reality learning and it becomes clear why the district needed a new network solution to provide the best possible connectivity. 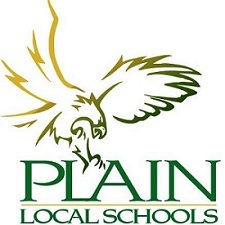 Plain Local Schools didn’t choose their Extreme Networks Solution overnight; planning for the upgrade started in April 2016. Through E-rate they completed the form 470 and set-up a district committee to evaluate the numerous bids received. According to Andrews, “The E-rate process really helped us find the best products to meet our needs. It made the vendors work harder to offer the very best products they could to meet the guidelines.” A final evaluation led them to Extreme Networks as their selected provider on the form 471. Early in the E-rate process, Plain Local Schools had been alerted to Extreme Networks through colleagues. Andrews and Patterson meet with IT colleagues from other school districts in the county once a month to discuss challenges, new ideas, and best practices. Numerous colleagues suggested Extreme Networks, because they have been extremely satisfied with their deployed Extreme solutions. Since the current network isn’t centralized, the IT staff would often have to drive to individual schools to locate a particular access point and manually reset or program it. Patterson says, “Having a Wi-Fi platform with a single pane of glass view into the health of the network will make managing the network easier.” With Extreme Management and Control, network management will be simplified and allow for flawless connections. 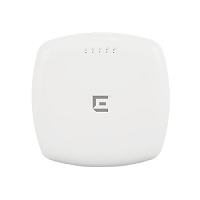 By deploying 460 of the 3935i APs with one AP per classroom, connectivity challenges will be nonexistent. For some districts, it’s easier to upgrade just one building at a time, but Plain Local Schools is a non-stop district and upgrading district-wide will be faster and more efficient. Andrews says, “The pros outweigh the cons. All the buildings will now be on the same playing field.” The district’s summer school program keeps the network busy, but the IT team is sticking to a tight schedule, so learning is not disrupted and goals stay on track. The close relationship the district has with Extreme Networks and reseller PCM-G is an advantage for this project. According to Andrews, “The Extreme team is flexible and understands our situation. We are going to deploy the solution in steps around the summer school schedule, so we don’t affect the students’ learning and connections to the network. Andrews says, “Our installation will start within the next couple of weeks and our goal is to finish by August 1st. It is ambitious, but doable because of our plans and relationship with Extreme and PCM-G.” With 11 buildings and over 6000 students, Plain Local Schools needed a solution that is built to last and that is exactly what they are receiving. The network is future-proofed with room to grow – the backbone is increased to 10-Gig with Extreme x460s and x460G2s at the edge and S-Series switches in the core. For the future, they are discussing expanding outdoor wireless and deploying it at the athletic fields used by varsity, local, and area university sports teams.